Being Erin ★ : Bunnings. 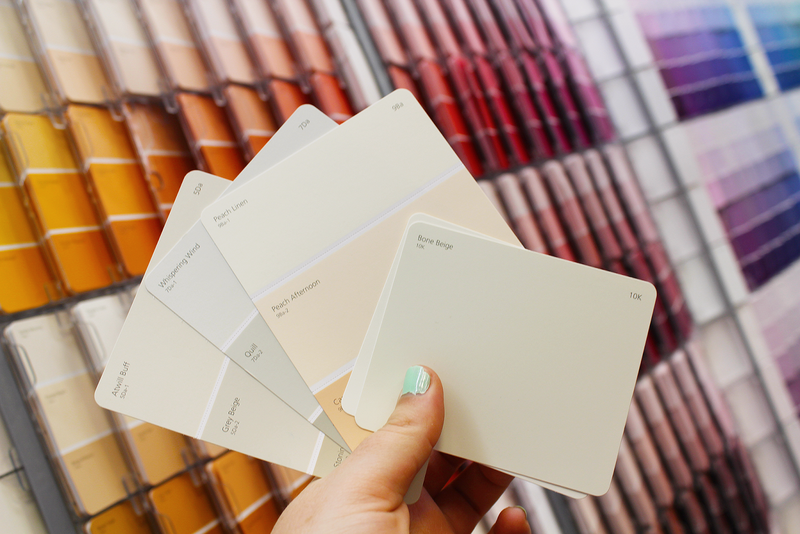 I've been wanting to paint my room for awhile. I've had quite a few different colours over the last year but haven't been happy with any of them - I've had red, turquoise and currently I have a light purple colour which I thought would be good but I just think it's not right for what I want. I originally went to Bunnings looking for a light grey but ended up with more of a beige tone that hopefully will look quite nice in the room. I decided to go for something a little bit warmer than a grey because it's a bit more homey. A bunch of options I considered. 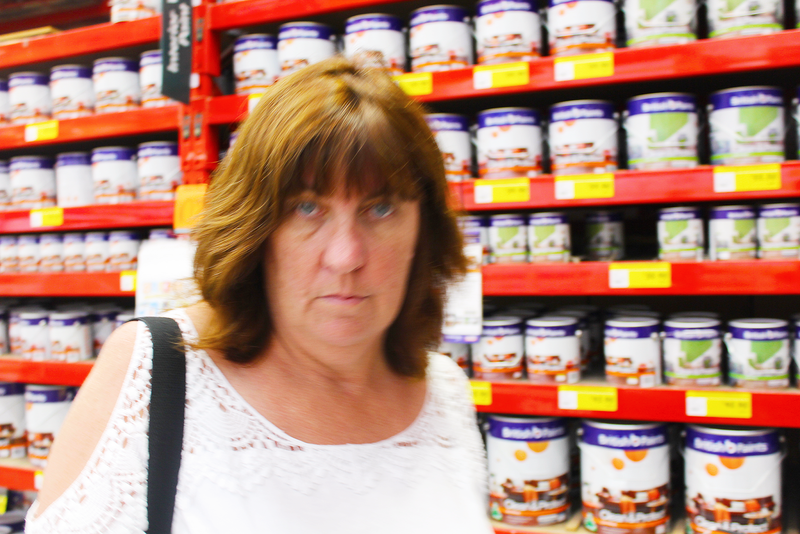 Caught mum off guard. She wasn't happy haha. 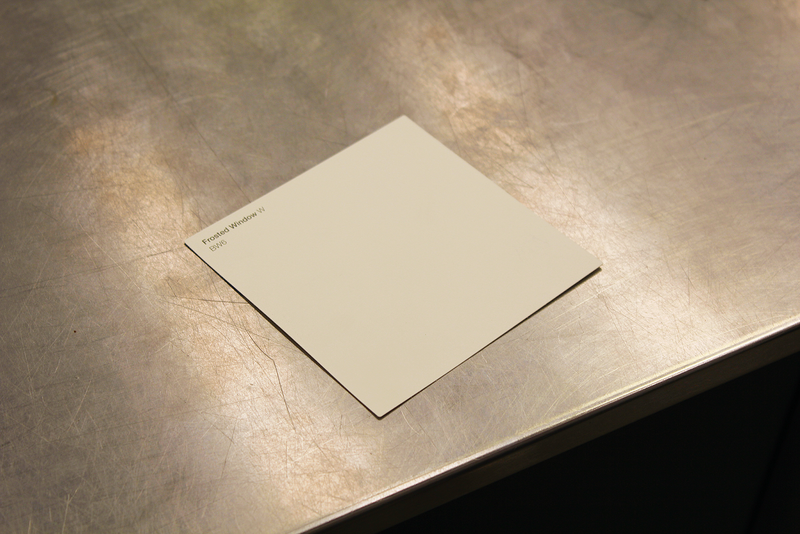 The colour I ended up choosing - Frosted Window by Dulux. I'm going to be painting my room next weekend so I will definitely do before & after pictures and show you how it turns out. Do you want to give your room a makeover? Let me know what your dream room would be like! I like the colour - very clean and minimalistic. Three of the walls of my bedroom are painted in a similar shade than yours, the other one is blue and I love it. What kind of blue is your wall? I have a love/hate for picking paint colours haha, last year we redid out bathroom/toilet and there were so many debates on colours, but we eventually went for a white/grey. I reckon the one you chose will look great in a bedroom! Haha I'm with you! It can be so fun but so frustrating! Oh that's awesome :) The thing is I knew what I wanted but there were too many options of how to get a similar result. Of course I'll take pics! I have been stuck with olive green on my walls since I was 11, it's a nightmare. My parents just dont even consider giving my room a makeover. Oh no! I was stuck with a red wall for years (red is my least favourite colour) and I just had to take it into my own hands to get rid of it because mum just kept putting it off. Since then I've redone my room twice! 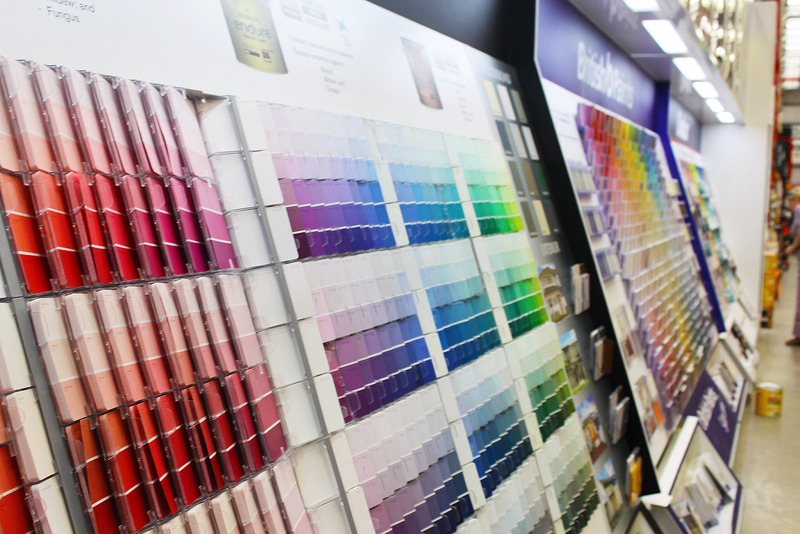 I remember the endless colour choosing nightmare I had when I redecorated my room back home a few years back. I hope you'll be happy with the final result :)(my parents have a very similar colour in their bedroom and it looks really great! ); and by the way - you have such a great blog! Thank you! I'm really glad I found your blog - it's beautiful. A reliable interior painter is going to have an understanding of a customer demands. With these awareness a strong MAC Design Corp most people have several different solutions plus strategies that is going to switch the home insides glance.